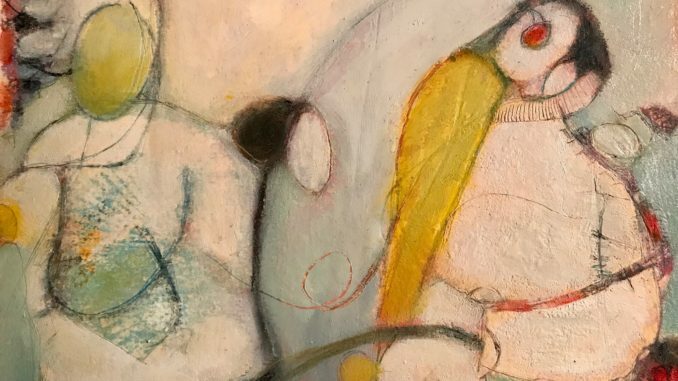 Visit Green Hall Galleries from October 11 through November 20, 2018 and enjoy viewing the Remnants & Renewal Exhibition by Eloise Shelton-Mayo. Eloise was born in the UK, lived in Germany and throughout the U.S. as an Air Force ‘brat’. She received her Bachelors of Arts degree in English from UNC Wilmington and worked as an Ad Designer for the Raleigh News & Observer. She discovered a passion for painting studying with Corinne Lilyard-Mitchell at the Visual Arts Center while completing a studio arts degree. She has continued to study with professional contemporary artists. Eloise teaches as an art adjunct for TCC and leads numerous painting workshops in the area. Her work is part of private collections and the permanent collection of Tidewater Community College. This Cultural Arts Celebration event is free and open to the public.